What does an filter-drier do? The Filter-Drier is a canister typically mounted near the Condenser that receives the mostly liquid from the Condenser. It has two primary functions in the air conditioning system; 1 – Filter contaminants. This is the primary location where larger contaminants will end up. 2 – The desiccant stored inside removes any residual moisture from the system that evacuating doesn’t remove. This is the most important function, as moisture is the #1 enemy of the a/c system. Combined with refrigerant and lubrication, moisture will turn acidic (hydrochloric acid) and start to eat the system up from the inside out. It is necessary to replace or restore the filter-drier whenever the system is opened up to the atmosphere. 60-70 Mopar Replacement Filter Drier. 71-75 Mopar Replacement Filter Drier. Can’t find a new filter-drier? We can restore your old one! 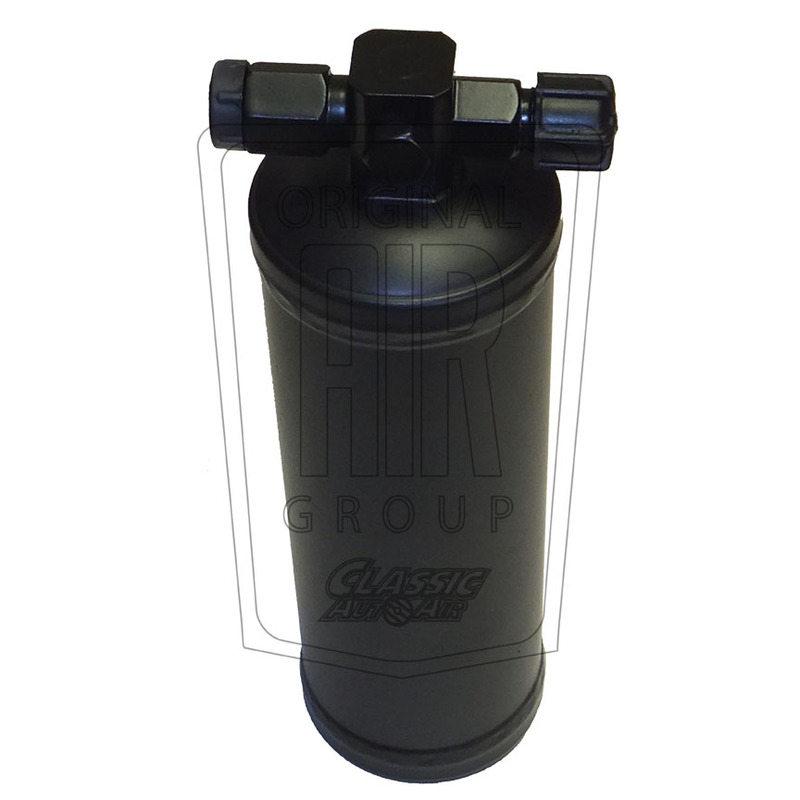 Because many filter-driers are no longer made, Classic Auto Air offers restoration services for your original.